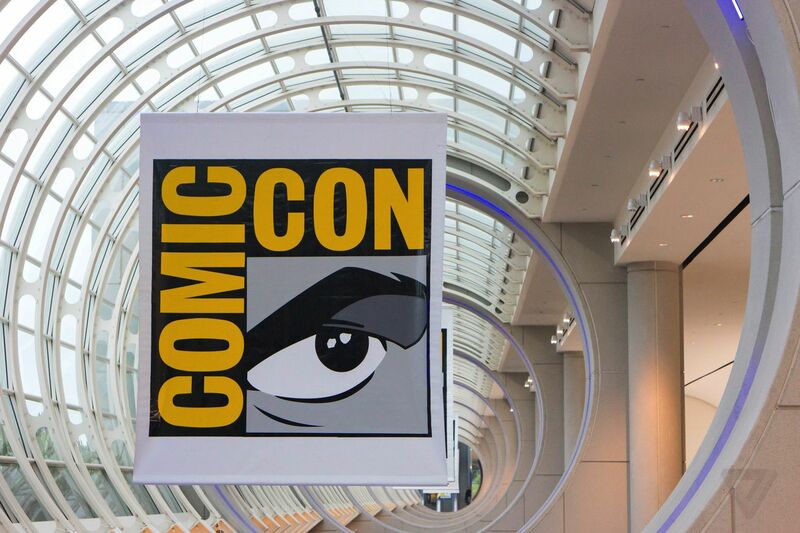 San Diego Comic-Con is finally here, and it promises to be a crazy few days of news, panels, trailers, cosplay, interactive experiences, lines, merch, and bad convention center food. There’s going to be a ton going on, with panels (and hopefully new footage) showing off the latest movies from Marvel and DC, with possible appearances from things like Tomb Raider, Ready Player One, Blade Runner 2049, Ocean’s Eight, Deadpool 2, and more. And that’s not even counting TV shows like Game of Thrones, Twin Peaks, Doctor Who, Westworld, and The Walking Dead, all of which will be holding court. Comic-Con kicks off early with a Wednesday night preview from Warner Bros. Look for an exclusive pilot screening of Deception, video presentations of Krypton and Black Lightning, and a new episode of Teen Titans Go! Kicking off the big three studio panels this year is 20th Century Fox on Thursday morning. Fox is keeping pretty quiet, so literally anything could show up, including Murder on the Orient Express, Kingsman: The Golden Circle, Deadpool 2, New Mutants, X-Men: Dark Phoenix; the Predator reboot or even the long-awaited adaptation of Alita: Battle Angel. Netflix is bringing two big movies to Comic-Con this year: the Will Smith-starring fantasy / cop film Bright, and the live-action adaptation of classic anime Death Note. Given the importance that the streaming company is putting on original content these days, expect both to be films to keep an eye on. Things are about to break out into all-out warfare on The Walking Dead. AMC is expected to premiere a first look at the upcoming eighth season of the popular zombie show, as Rick and his group prepare to go up against Negan’s Saviors. Game of Thrones recently came back to television for its seventh season, and now it’s heading to Comic-Con for a panel. We’re not expecting too much news from this, but if seven years in Westeros have taught us anything, it’s that we never know what will happen. The Avengers was one of Marvel’s biggest achievements, somehow successfully melding the worlds of five disparate movies into one thrilling, cohesive whole. Now we’ll get to see if they can pull off that trick twice on a smaller scale with the company’s gritty Netflix shows. Warner Bros. panel might just be the most hyped event going into Comic-Con. On the DC Comics side of things, there might be new trailers for Justice League and Aquaman and hopefully some news about movies farther down the line in the DCEU. And if that alone isn’t enough, the studio also has Blade Runner 2049, It, Ocean’s Eight, Ready Player One, and Tomb Raider all waiting in the wings with possible news. CBS is expected to be making a big push for Star Trek’s impending return to television, and following the show’s various struggles and fan backlash after the first trailer, it’s got an uphill battle to fight before the fall premiere. Marvel may have shown off some big Infinity War footage at D23, but it’s not sitting out Comic-Con. We’re expecting more updates on upcoming Marvel Cinematic Universe films, including, at the very least, a new trailer for Thor: Ragnarok. Beyond that? Who knows? Maybe a new Black Panther preview? Captain Marvel? Or (fingers crossed) perhaps a more public encore of the D23 Infinity War trailer? The Doctor Who panel is expected to look back on Peter Capaldi’s time as the outgoing Twelfth Doctor, but with the recent news announcing Jodie Whittaker as his successor, we’re hoping the BBC has a surprise guest in store.